Shopping the easyfundraising way with Footvitality.com, could not be easier. Follow the instructions below, and create an account today to start supporting a cause or charity of your choice. 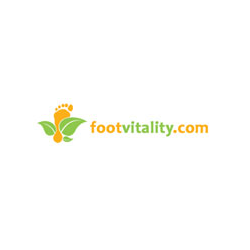 Footvitality.com is a webstore with a mission to help people with their foot conditions and to generally increase wellbeing with excellent foot care. All the products are linked to certain foot conditions to offer targeted products to the persons suffering from these conditions.